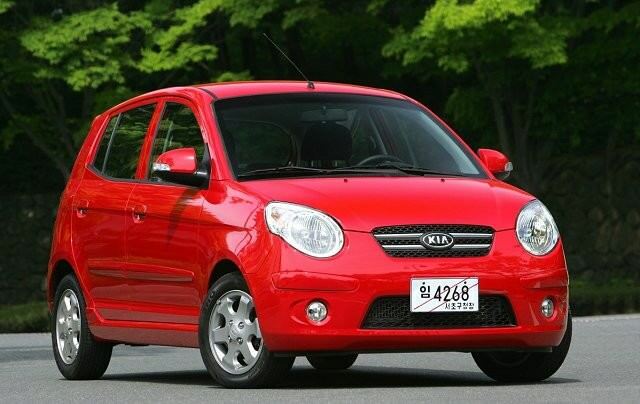 Kia's Picanto arrived in Europe in 2004 and was sold until 2011 when it was replaced by the second-generation model. Kia's Picanto arrived in Europe in 2004 and was sold until 2011 when it was replaced by the second-generation model. Like many of its Kia-badged relations it shares a lot technically with its Hyundai sister company's products, so the Picanto was based on the same underpinnings as the Hyundai Getz. Narrow and tall, the Picanto packs a lot of space into its small footprint and achieves highly competitive economy in the small car class. Introduced back in 2004 the Picanto become a popular choice among city car buyers looking for a good value, sensible small hatchback. Only offered in five-door guise, the Picanto competes against compact urban rivals like the Toyota Aygo, Peugeot 106 , Citroen C1, Ford Ka and Fiat Panda. Kia's usual high value offering made the Picanto a canny buy new. On the used market that's true, too, Picantos appealing with better than typical specifications as standard, while retaining attractive pricing. It'll never excite on the road, but the Picanto's a solidly built, decently spacious choice, with good looks, too. The styling got a makeover in 2007, with new front and rear light clusters signalling the new model. Inside there were improvements too, including moving the indicator stalk from the right to the left hand side - Korean cars long having bucked this convention. The early cars were offered with 1.0- and 1.1-litre petrol engines (a 1.1 CRDi diesel also available in some markets) of 60- and 65hp outputs, the 1.1-litre only really existing to allow Kia to fit an automatic gearbox to it. Later, post-2007 facelifted cars featured the same engine choices, but the output of the 1.0-litre unit increased to 63hp; again the 1.1-litre unit was offered with the option of a four-speed automatic transmission over the standard five-speed manual. Trims include LX, TX and EX, most coming with alloy wheels, remote central locking and air conditioning. Kia has long offered generous warranties and many of the most recent used Picantos will still have the balance of their official Kia warranty. The 1.0-litre car doesn't feel underpowered in comparison to the 1.1-litre, so unless you really need the option of an automatic then the 1.0-litre model is the best choice. Trim levels are all decently specified, so buy on condition and mileage. Sensible, small and frugal, the Picanto is a smart choice in the small car marketplace for those who value good standard equipment in their second hand purchase. Not particularly memorable to drive, but a wise used buy if you're after an inexpensive urban runabout.